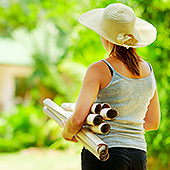 At Tustin Landscape we specialize in yard beautification throughout Orange County. 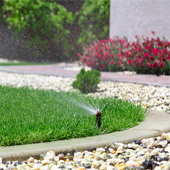 We have over thirty years of experience and knowledge in landscape design, installation and irrigation. What sets us apart from our competitors is our commitment to quality and attention to detail. Our landscape specialist team will provide a spectacular design that will incorporate your tastes and budget. We specialize in lawn installation. Some of the sod choices include St. Augustine, Marathon, Tiff Green, and Putting Greens. Landscape irrigation provides a regulated dose of water that can encourage growth and create a nurturing landscape environment. 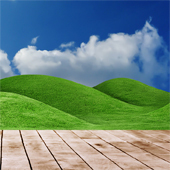 Tustin Landscape specializes in slope grading and soil preparation. Our team will provide the proper ground cover, controlling erosion! 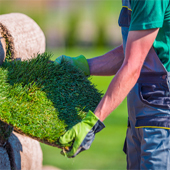 We are pleased to provide the best in landscape services to all of Orange County! Our team will visit you home or office space and provide a comprehensive estimate based upon your requirements. Professional, friendly service is our goal. Please contact us - Thank You! Certified Nurseryman & Landscape Specialist! 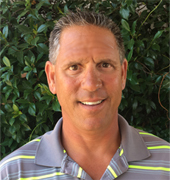 Jason Gugino is a California Certified Nurseryman and the former owner of Silver Creek Nursery and Landscaping. He has been in the landscaping business for over thirty years and greatly enjoys creating beautiful landscape designs that will enhance your home's value. Having completed over five thousand landscaping jobs he is extremely knowledgeable in all types of landscape designs and has received numerous awards! Friendly and a neighbor in the Orange County Community he is very easy-going and approachable. In addition to working in landscaping he spends many hours volunteering! Please contact Jason directly to discuss your landscape and enhancing your beautiful home! Tustin Landscape is centrally located and here to serve all of Orange County! Over Thirty Years Of Experience! We pride ourselves on providing beautiful landscapes for all our clients that fit their expectations and budget, while simultaneously providing attention to detail and the highest level of workmanship. Call us to discuss your landscaping needs. We will provide an estimate of costs and the timeline required. For more information regarding our services please click on the link to the left.